Come along to find out what it’s like being a student at the academy and see what we offer! 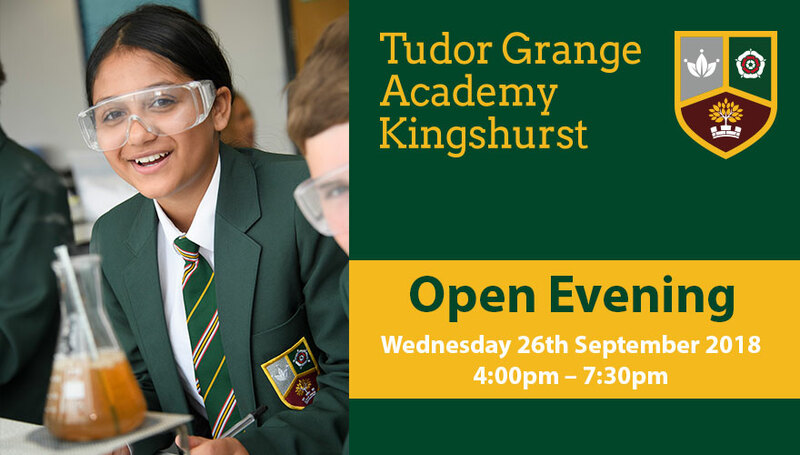 Tudor Grange Academy Kingshurst is pleased to invite applications for 11-year-old students (date of birth 01.09.07 to 31.08.08) for admission in September 2019. Presentations from the Principal, Damon Hewson at 5.00pm and 6.30pm.